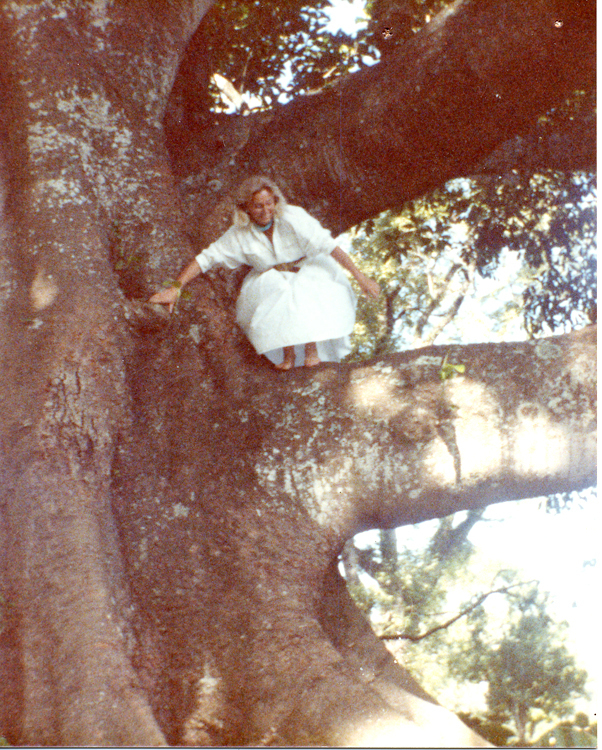 It was this tree that gave Michael Roads his groundbreaking book: Talking with Nature. This was originally published here on Changing the World One TTouch At A Time on November 10, 2009. To see the Message, click here, or to download a pdf file of the Message, click here. Dearest TTouch Family around the world. I’m writing from Santa Fe, getting ready for our TTouch CELLebration. and I am feeling that it is time to reach out and get ask you all to help spread this wonderful work around the world, each in your own way. It is time to put our heads together and find a way to spread the word. I have endless inspiration but not so much physical energy for organization any more. My work is to support and inspire and love you all and the animals, and mineral, plant and nature spirits. The following transmission is a message from an ancient Morton Bay Fig Tree which I received directly from the tree at Coffs Harbor, Australia, September 10, l982.